Prostatatitis is an inflammation of the prostate gland, often resulting in swelling or pain. The term prostatitis is defined as microscopic inflammation of the tissue of the prostate gland, which spans a broad range of clinical conditions. Over the years, prostatitis has been subdivided into a number of categories, but today commonly accepted variations of the disease include nonbacterial, acute, and chronic. Prostatitis is a disease causing intense pain and discomfort to males between the ages of 25-55. Existing treatments are insufficient in effectively relieving symptoms. The latest approach to prostatitis treatment is "Thermotherapy" - a method of treating the prostate with heat which either eliminates or alleviates prostatitis symptoms. A safe and effective treatment is the Tempro thermal treatment, performed with the help of radio frequency waves, which create a controlled heat to the prostatic tissue. 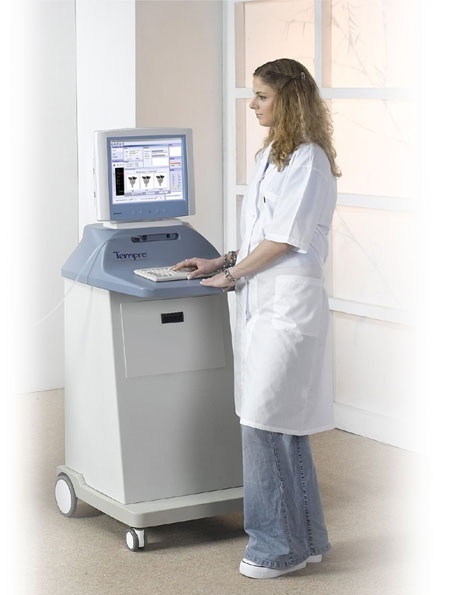 Tempro treatment presents an innovative approach to thermal RF treatment. 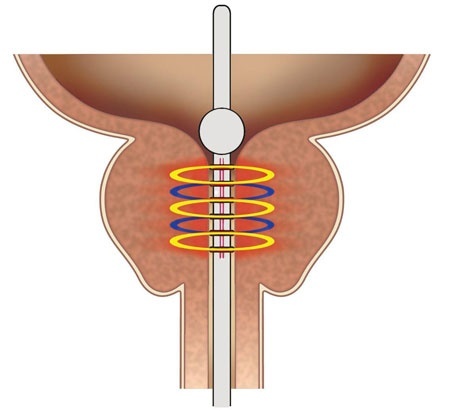 Tempro treatment offers a unique bipolar RF technology which leads to a personalized treatment for each patient according to its Prostatic Urethral Length (PUL). Tempro treatment is safe and effective and does not require cooling systems or rectal temperature probes. Tempro thermal treatment showed improved quality of life for many patients. Tempro thermotherapy offers treatment with pain-sensitivity profiles for the individual patient. The treatment may be performed with high, medium or low heating profiles to maximize patient comfort during treatment. The treatment area is chosen according to the Prostate Urethra Length (PUL), for localized treatment, by applying energy to different electrodes. Tempro treatment incorporates a unique computer controlled RF generator which enables bipolar treatment. Tempro treatment procedure is short and simple. 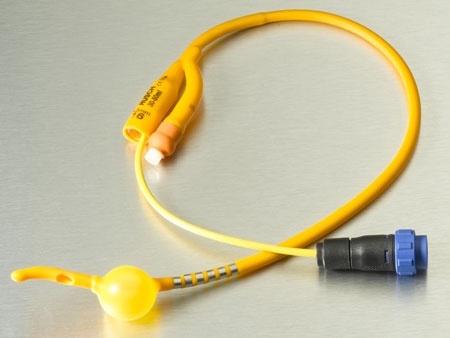 The unique features of Tempro include the 6-ring electrode, mounted on a silicone coated 16FR latex foley catheter. Three simultaneous temperature controls measure the highest prostate treatment temperature during treatment. 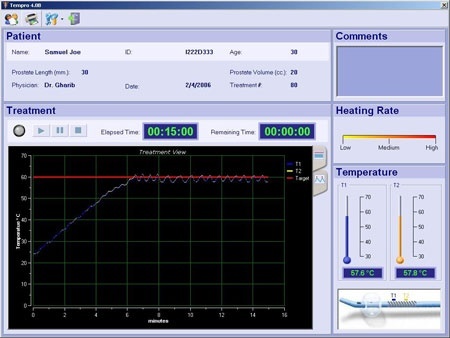 The temperature-time graphs are constantly displayed on the screen, ensuring control over the treatment. Bipolar technology enables concentrated RF transmission to the prostate with minimal energy delivery to surrounding tissue. RF energy used in Tempro allows predictable heat patterns without hot spots. Due to the small diameter of the treatment applicator, its insertion is smooth and painless. Tempro possesses a unique bipolar radio-frequency energy source. Tempro applicator can be adjusted to different prostate lengths by activating a variable number of rings according to prostate urethra length. Tempro applicator has 3 sensors which continuously monitor the prostates maximum temperature. The controlling computer will automatically shut down the system if an abnormality occurs. Treatment by Tempro does not need any anesthesia/sedation and is performed in a single session in a doctor's office with analgesia. Tempro device is mobile, easy to operate and is fully equipped with a computerized control and printer for printing of patients' summary forms and files; including post-treatment and statistical anyalysis results. *Please check with your distributor which of the indications are authorized for use in your country.